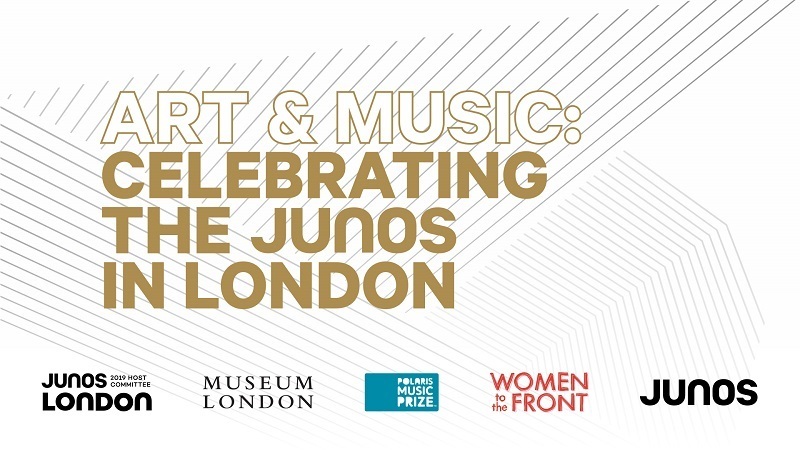 In celebration of the 2019 JUNO Awards coming to London, Museum London; in partnership with The Canadian Academy of Recording Arts and Sciences (CARAS), the JUNO Host committee, and the Polaris Music Prize; will be exhibiting FOUR music-related exhibitions. This opening reception is open to the public, free to attend, and wheelchair accessible. The "Art is Art", "JUNO Photography Exhibition", "Polaris Music Prize Posters", and "Women to the Front" exhibitions will feature visual art based on and created by Canadian musicians that will be on display before, during, and after JUNO Week 2019 (March 11 to 17). This is a great chance for Londoners to get up close and personal with the visual and artistic side of the Canadian music world and serves as a complement to the JUNO festivities. Polaris Music Prize Posters are meant to honour Canadian music albums of great artistic merit, both contemporary and from the past. A stunning retrospective photography exhibition showcasing the past 40+ years of Canadian music and the JUNO Awards. ​Highlighting the synergy between visual art and music, "Art is Art" showcases the visual art practices of prominent Canadian recording artists.